When embarking on a vacation, it can be very tempting to forgo your fitness and dieting goals during that time. Many people are under the assumption that it’s too difficult, inconvenient, or that you’re not truly enjoying your vacation when you’re still thinking about workouts and healthy eating. 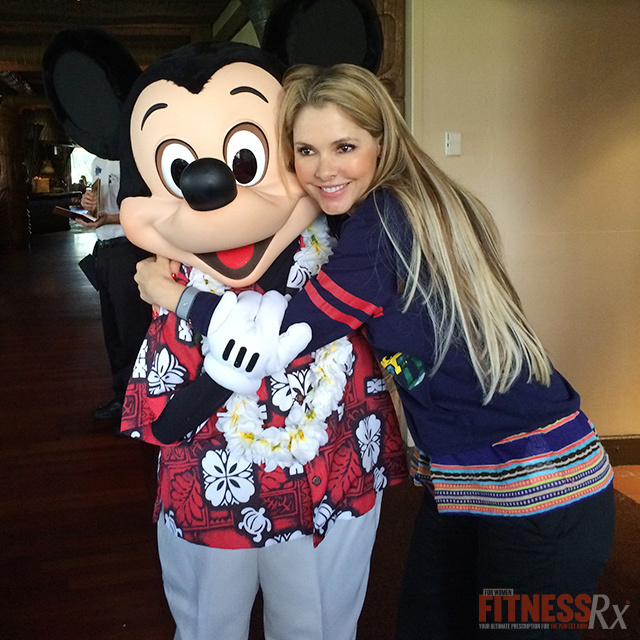 But the truth is, there are ways to enjoy your vacation without sabotaging your fitness goals. When you make an effort to stay healthy during your vacation, not only will you feel energized and truly relaxed during your time away, but once you get back from your trip, you won’t have to worry about trying to get back on track. Hotel selection. Try to find a hotel that has a gym or a place to exercise. If this isn’t possible, see if there is a gym nearby, or simply go for a run! This might also be a great way to explore the place you are visiting (check out www.gorunningtours.com, which offers “running tours” in cities worldwide). If your hotel has a pool, you can give water exercises a try. You can also try this plyometric workout that doesn’t require a gym. Refrigerator and microwave. Many hotels offer refrigerators in their rooms. Call ahead and ask so that you can bring your pre-cooked food. Also ask if there are microwaves in the rooms so that you can use it to cook peas, broccoli or warm up leftovers, etc. Book an active excursion. Walking, biking or hiking excursions can be fun, plus you’re getting exercise at the same time. Bring your food. Bring along tuna cans, nuts, protein bars, protein powders, oats, rice cakes, almond butter, etc. You can also make this process much easier by pre-shipping a box of items these items, since they do not need to be refrigerated. You can also bring your own chicken breasts, sweet potatoes and vegetables. 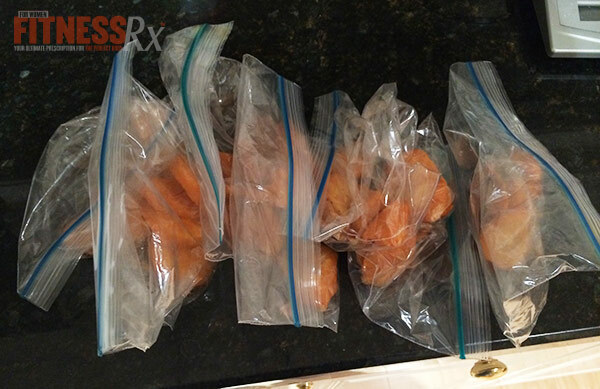 Measure or weigh before you travel and pack them in Ziploc bags in a cooler. If traveling by plane frozen foods are allowed through security, but ice packs are not. Instead, use frozen peas or other food and use it as the ice, bring empty Ziploc bags to fill with ice from a restaurant once through security. Supermarkets. Find the closest supermarket to your hotel and shop healthy: fruits, salads, nuts, water, etc. You may even be able to find a farmers market when you can try some very fresh, local fruits and vegetables, which would also add to the experience of your vacation to a new place. Make healthy restaurant choices. Going out to eat is inevitable when you are on vacation. At a restaurant, try to select lean grilled chicken or fish with vegetables that are steamed and without butter. Eat smaller portions (you can save half for later or the next day), and if you want to indulge in dessert, share it or just have a few bites. Drink water. It is very important to stay hydrated! Plane travel can especially cause dehydration. Staying hydrated will keep you feeling energized, prevent you from mistaking thirst for hunger, and it will prevent bloating. Rest and sleep. Vacations are important for your mental and physical health! Enjoy your days off, sleep, give your body a small break, and you’ll feel more energetic and motivated. Do something different and enjoy your vacation and have a stress-free time with friends and family.